A healthy population is strongly linked to economic growth and poverty reduction. Taken together, MCC investments strengthen institutions and help governments provide critical, cost-effective health services that improve lives and build a more productive workforce. In other areas, such as road infrastructure, MCC works to ensure that health and safety considerations are identified early in the project cycle and integrated into the project design and implementation process. The MCC selection indicators for public expenditures on health, immunization rate, and natural resources management specifically focus on a country’s efforts to provide adequate health care and healthy living conditions to its citizens. The MCC Environmental Guidelines establish a process for the review of environmental and social impacts—including health impacts—to ensure that compact-funded projects are environmentally sound, are designed to meet regulatory requirements, and are not likely to cause significant environmental, health or safety hazards. All projects are reviewed to ensure identification and mitigation of potential health and safety impacts. For example, MCC-funded infrastructure projects typically require HIV/AIDS awareness campaigns and other mitigation measures be integrated into construction and other project activities. 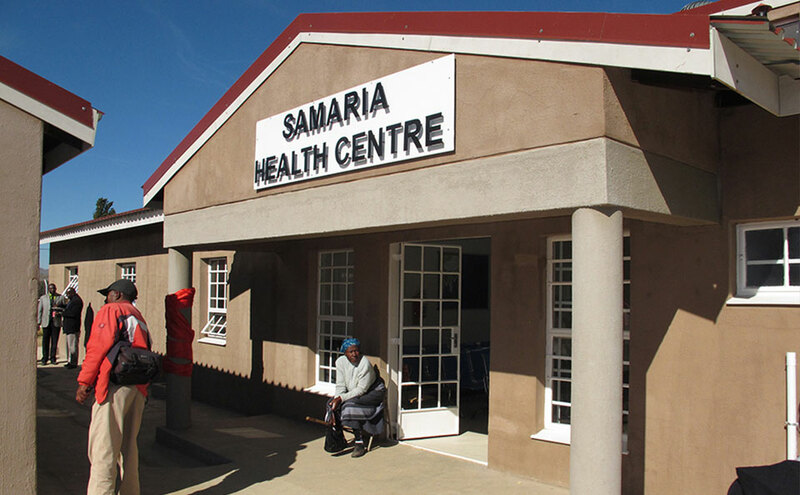 A new community health clinic in Samaria, Lesotho, is one of 138 health centers rehabilitated or built under MCC’s compact with Lesotho. Forty percent of MCC’s $358 million compact with Lesotho was designed to strengthen the delivery of essential health services, including HIV/AIDS prevention and treatment. The $144 million health project was targeted to improve health sector response to HIV/AIDS, tuberculosis and maternal and child health through health systems strengthening – human resources, health information and management system investments – and public and private health infrastructure rehabilitation. The project placed special emphasis on systems and infrastructure needed to roll out intensive HIV counseling, testing, and anti-retroviral treatment. The program partnered with the President’s Emergency Plan for AIDS Relief (PEPFAR) and other U.S. Government agencies, including the U.S. Agency for International Development and the Centers for Disease Control and Prevention, and with other donors. Indonesia’s MCC threshold program was designed to help build a sustainable childhood immunization system by measuring vaccination coverage and ensuring the availability of quality vaccine supplies. A $55 million MCC threshold program with Indonesia included a $20 million component to support the Government of Indonesia in reaching immunization targets of at least 80 percent of children under the age of one for diphtheria, tetanus, and pertussis and 90 percent of children for measles in 90 percent of Indonesia’s districts. A $12.7 million MCC threshold program with Kenya included $5.9 million in activities to strengthen transparency and accountability in the health sector to reduce corruption in the provision of essential services – largely targeted at MCH activities. MCC funding aimed to strengthen procurement capacity and accountability, improve supply chain management of public health resources, and establish capacity within the Ministry of Health to monitor procurements and assess compliance. One project of the Mongolia Compact sought to address the high and growing incidence of non-communicable diseases and injuries by increasing the national and local response to NCDI and increasing the availability of health services. From MCC’s $269 million compact with Mongolia, a $42 million investment was designed to strengthen the national program for prevention, early diagnosis and management of non-communicable diseases and injuries. Mongolia has seen death rates from premature heart disease, stroke, diabetes and pedestrian traffic accidents rise precipitously over the past decade. Increased smoking, alcohol use, obesity, and sedentary lifestyles as well as economic stress have contributed to the incidence of NCDI. The MCC-funded public health intervention expands and better targets prevention and early diagnosis efforts of the national NCDI program. Road traffic related deaths are the fifth leading cause of death worldwide. MCC utilizes a multidisciplinary approach to identify roads safety concerns early in the project development cycle and to integrate appropriate mitigation measures into road design and construction. For example, at the feasibility stage, MCC focuses on the identification and analysis of in road design, high-accident locations, sensitive land uses (such as schools), and markets adjacent to proposed roads with potentially high pedestrian traffic. During design, MCC seeks to incorporate internationally accepted design standards and provide safety provisions for pedestrians and non-motorized transportation aimed at minimizing vehicular-pedestrian conflicts. In addition, during procurement, MCC considers contractor environmental health and safety qualifications, and provides contractor safety training and onsite safety supervision during construction. 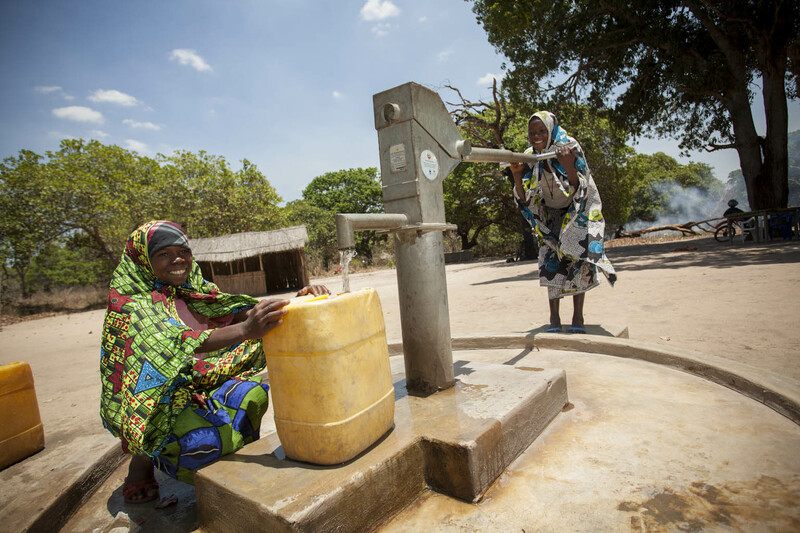 Thousands of people in Mecupes, a rural district of Nampula province, Mozambique are now benefiting from access to fresh water thanks to hand-powered water pumps funded through MCC’s Compact. Diarrhea remains the second leading cause of death, after respiratory illnesses, for children in developing countries. Poor access to safe drinking water and sanitation is the main cause of many of these deaths. Many of the economic benefits from these activities will accrue from reduced illness and improved health, particularly for the poor. For example, an MCC’s first compact in El Salvador nearly $16.6 million was invested to provide access to potable water systems and sanitation services to benefit 90,000 people in the poorest region of the country. 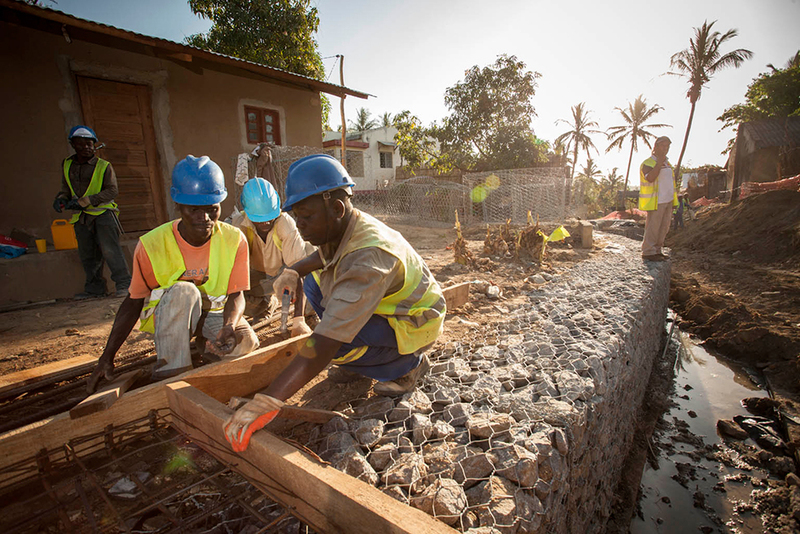 Workers install rainwater drainage equipment in Nampula as part of the Mozambique Compact. Improper drainage can lead to marshy soil, stagnant water and the spread of disease. Community-driven development activities, such as those funded in MCC compacts with Burkina Faso, Ghana and El Salvador, have included development of local health and education services. Irrigation development and other water infrastructure activities, such as rehabilitation of water drainage systems, include review and mitigation of health impacts, including malaria and other water-related diseases. Roads and other infrastructure activities often result in improved access for poor people to health services and hospitals.